Pancit bihon guisado is a Filipino noodle dish that uses thin rice noodles (rice vermicelli) and vegetables that are stir-fried. 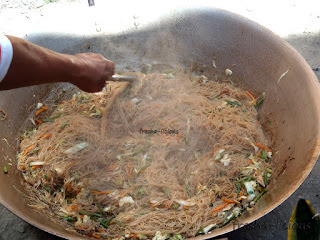 They are often served during any Filipino occasions specially during birthday celebrations as it is believed that the noodles represents good health and longevity. Bihon guisado is one of the dishes that was influenced by the Chinese. Bihon if you are not aware of is a rice noodle that is common among Southeast Asians. It is a very versatile noodle that can be cooked in different ways, dry, saucy, oily, or soupy, name it. The resulting noodle dish is a one-dish-meal - it has carbohydrates, fiber source, and protein source. 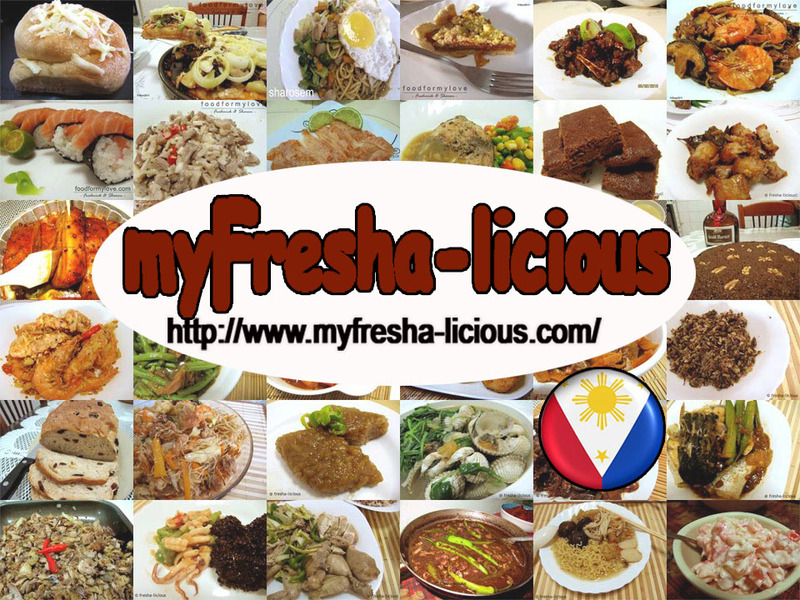 It is more economical and convenient to cook rice vermicelli as compared to cooking a rice and a viand. And rice noodles are cheaper as compared to cooking pasta. 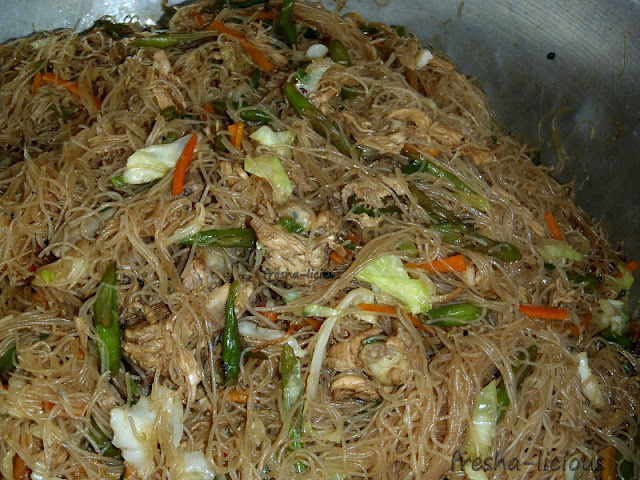 We have cooked several recipes involving bihon or rice vermicelli click this if you are interested in them. 1. 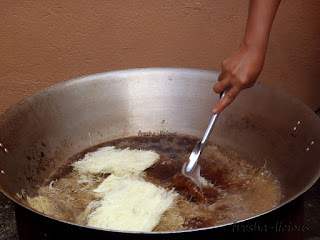 In a siyanse, heat the oil then pan-fry the fat until it turns brown. 2. Sauté in the garlic in the same oil until it turns almost brown then add onions. Stir until it wilts. 3. Toss in the vegetables and stir-fry. Scoop out the cooked vegetables and set-aside. 4. Stir in the chicken and the pork and stir fry them until they almost turned brown.Add more oil as needed. 5. Pour the water a small amount of water and bring to a simmer until the meat are cooked. 7. Toss in the bihon and stir until the noodles are cooked. Add more water and salt or soy sauce to taste. 8. When the noodles are cooked, remove from fire and toss in the cooked vegetables.